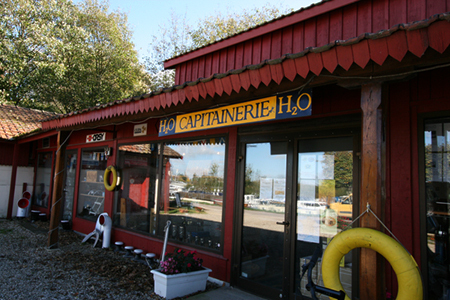 The H2O chandlery offers a large choice of products for your boat from leading manufacturers, such as Mastervolt, Cummins, Cupa Bowthrusters, International, Sonnenschein, Dometic, Jabsco, and Raymarine. 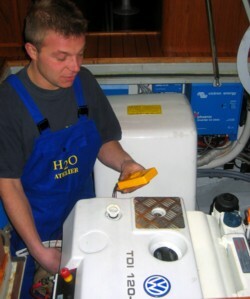 Mastervolt has become the European reference point in electrical solutions for boats. 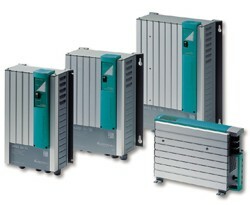 In production and distribution for energy storage at low voltage; the same applies to the Whispergen range of generators. Mastervolt provides all the equipment you need. The company is continuously improving the technology of its products in order to make them more effective and reliable. After-sales service and repairs are assured through an extensive dealer network. They offer a quick reaction time, assuring you of good functioning systems of whatever you buy for many years. We offer you a range of chargers, inverters, alternators, solar panels, generators etc. Ask for the latest brochure and price list. This American company builds well-known marine engines. Their specialization and their knowledge make them one of the leading distributors in the world. They offer a range of diesel engines using the latest technology. H2O is the official installer and distributor of Cummins diesel engines, which are some of the most efficient, clean and durable engines on the market. These engines are delivered completely marinised, with hydraulic reduction gear. You can be certain that a Cummins engine will give you satisfaction and tranquility, while considerably increasing the value of your boat. Contact Phillippe on 03 80 39 0811 or pgerard@h2ofrance.com for more details. 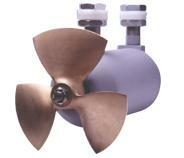 For 25 years, we have been installing bow thrusters in boats from 8 to 28 metres in length. They are available in 12v or 24v with a power of 2.3 kW to 7kW. The electric motor with its propeller is installed in a welded tube at the bow or stern. Contact us for an estimate. Established in 1881, International is the best-known brand of maintenance paint for the whole marine industry. You can have confidence in their paint, primer, varnish, and anti-fouling. The reliability of Gel Sonnenschein batteries is proven. From 90 to 200 Ah, these batteries will give complete satisfaction. 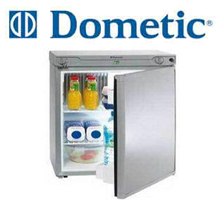 Dometic offers a vast range of domestic equipment for boats, including refrigeration, air-conditioning, cooking and sanitary fittings. Discover the extensive range of Raymarine navigation aides, including depth sounders, GPS and multifunction touch screens. The chandlery carries an enormous range of items including small electrical equipment, motor filters, ropes, fenders, and much more. The shop will do its best to meet your expectations with its 3,000 stock items! From Monday to Friday from 9 a.m. to 12 p.m. and from 2 p.m. to 6 p.m.
Saturday from 9 a.m. to 12 p.m.
Why ask a broker to sell your boat ? Buying new or used boat ? 8 tips to safely navigate! Etymology of the word "boat"